2. This post will tell you two things. First, how to make a Rapid KL Roller Coaster. Second, what to do when you are in a Rapid KL Roller Coaster. 3. How to make a Rapid KL Roller Coaster? Step 1: As a driver, if the bus is full, assume that there is no one is inside. Allow another 100% of people as in the bus to enter and join rather than waiting for another bus. 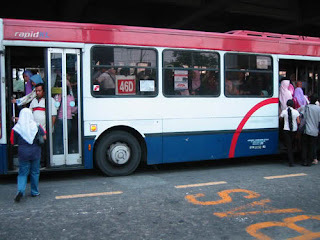 Step 2: As a passenger, when you see a full bus, try to enter in any way you can. Step 3: As a driver, accelerate the bus as fast as possible. During a turning, drift as best as possible, and try to break as last minute as possible. 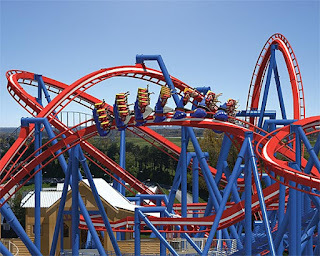 Step 4: As a passenger, scream as loud as possible, sound like in a roller coaster. Congratulation, now you make a Rapid KL Roller Coaster. 4. What to do when you are in a Rapid KL Roller Coaster? Step 1: As a driver, you don't have to care much if you learn Physics, maybe you know the maximum acceleration that you should reach. Step 2: Be positive, don't think of accident that already happen. Step 3: Make doa and zikir. Muhasabah yourself. Be prepared and stay focus! 5. We are always supporting the public transport. The fare has been announced increased, yet must do the service. haha. dah ada org argue dh dlm facebook. ini piece of literature, so driver tu sendiri not even seorg pakar physics, so kita bg adj. yg lebih2 kurg. tp still bleh interpret sbg benda lain. ini hasil english 4U ICPU.